Run your eyes down the specs lists for the 6280 and the 6288, and you'd be forgiven for thinking they're the same phone. 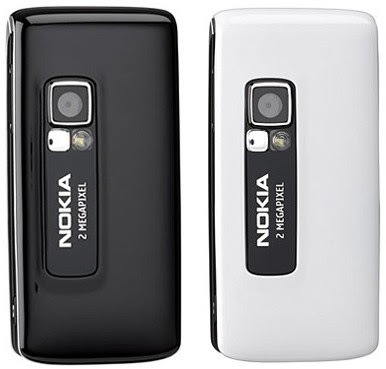 The two 3G Nokia sliders do have a whole lot in common--the dimensions, weight and display size are identical, as are the camera specs, amount of internal memory and applications. So what's the difference between the models? 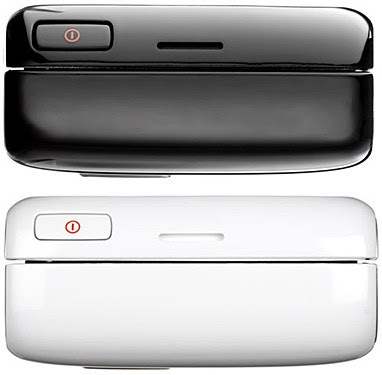 Basically, a firmware upgrade; a few minor design differences (such as altered keypad spacing and a glossy finish); and a larger miniSD card bundled into the pack. Like the 6280 (and this will become a familiar refrain), the 6288 is a squarish slider, measuring 100mm by 46mm by 21mm and adding 115 grams to the weight of your pants pocket. The top part of the slider is dominated by a 320 x 240-pixel screen, with the large navigation keys nestled snugly beneath. Pushing the slider up reveals a businesslike grid-style keypad, its rectangular buttons surrounded by a thin silver line. A tiny front-mounted VGA camera is almost invisible, hiding in the top left-hand corner. It's all very sedate and refined, but also a little boring. The reverse side of the 6288 has a glossy black finish, and features a 2-megapixel camera, complete with flash and teeny fisheye mirror for those times when you just have to take a photo or two of your own face. The placement of the lens and a camera shortcut key on the side of the phone allows you to hold the device horizontally for taking photos, as if it were a bona fide digicam. A silver Nokia stamp lets photo subjects know the brand of the cameraphone they're posing for. The no-nonsense look suggest a phone built for business, and the 6288's feature-set certainly lends itself to the corporate life. 3G data transfer speeds, triband compatibility, and support for IMAP, POP3 and SMTP e-mail allow you to take the office on the road. If there's an area the 6288 has focused its efforts on, it's video. In addition to the video calling that's now a standard 3G feature, the phone sports Nokia's video sharing application, which allows you to capture your surroundings with the camera, transmit that video in real-time to someone you're on the phone with, and then end the video sharing session without needing to hang up. The 6288 can also handle video ringtones, and the ability to chuck in a miniSD card of up to 2GB capacity means you can save a whole lot of clips. While our review of the 6280 found no major performance issues, reader reports have spoken of some pretty dire problems, including random shutdowns, reboots, signal loss and poor battery life. 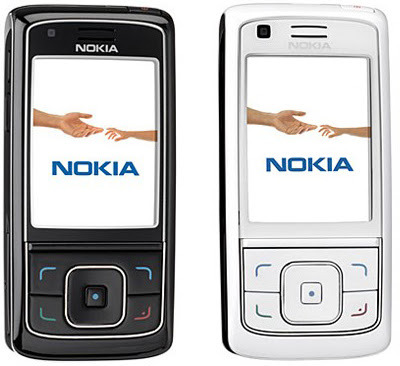 Nokia has not acknowledged that there is a problem with the phone model, but the 6288 has been given a firmware upgrade. In addition to being more stable, the new firmware offers support for the A2DP Bluetooth profile, allowing you to stream music wirelessly to a stereo headset. 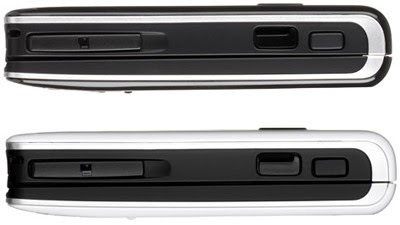 The lack of springiness in Nokia's slider mechanisms has caused us consternation in the past, as noted in our review of the N80. The 6288 has similar issues--when thrown into the bottom of a bag, the phone may move around enough to slide up and unlock itself. It's best to store this model in a separate pocket, to prevent repeated accidental phone calls to the first person in your contacts list. We got around three days use of the 6288 between charges, which was a little better than the battery results posted by the 6280. 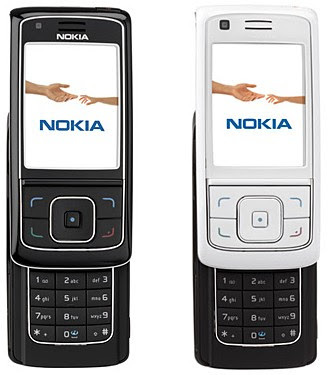 The 6288 represents a good compromise between business and entertainment, falling somewhere between Nokia's Blackberry-esque E series and its multimedia-focused N models. It's not as chunky as the N80, and seems to skirt the firmware-related issues that were cause for complaint from many 6280 owners.